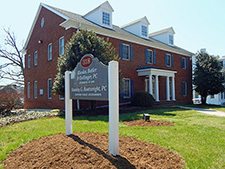 Our website address is http://rhodesbutler.com/. When you visit our website and agree to accept cookies, information about your computer and about your visits to and use of this website, including information about your browser, your IP address, and your general location as determined from your IP address, the site from which you came, the links followed when leaving our site, and whether you are a new or returning visitor. We retain data on our web server logs, Google Analytics, WordPress, and JetPack indefinitely. These sources contain no personally identifying information. To find out more about your rights under the Data Protection Act, visit the Information Commissioner’s website: www.dataprotection.ie/docs/A-guide-to-your-rights-Plain-English-Version/r/858.htm or read the Act online at: www.hmso.gov.uk/acts/acts1998/19980029.htm.